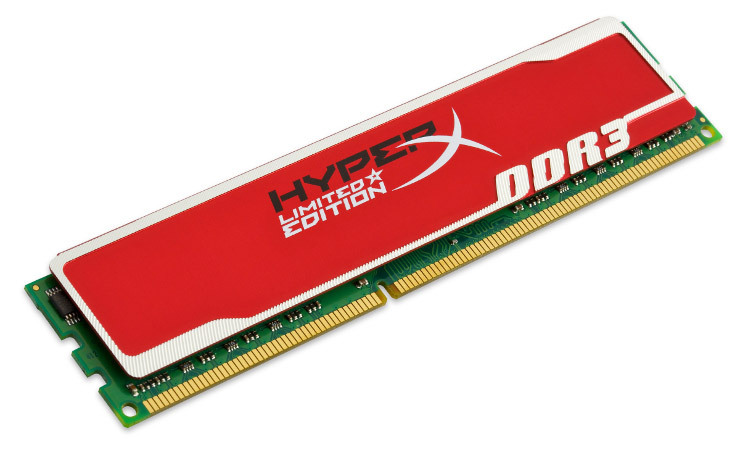 Kingston Technology has released to market a new line of enthusiast oriented computer memory that belongs to the HyperX series but this time it will come in red – hence the name Red HyperX memory. The new memory targets computer fans that own a fancy and windowed case and want to brag about the memory they have installed. In fact the color is such it should quite nicely complement other colorful components found inside a computer case such as CPU coolers, motherboards, graphics cards and others. The new Red memory is of type DDR3 SDRAM and comes in 8 GB and 4 GB kits at speeds of 1600 MHz or 1333 MHz with voltage of 1.65 V and 1.5 V and is Intel XMP ready. In the USA the Red HyperX memory will cost 54 USD for an 8 GB kit (1333 MHz or 1600 MHz speed) and 31 USD for a 4 GB kit of 1600 MHz or 1333 MHz memory.